I was recently asked this question at a braai. Usually, my favourite spot in SA is the place that I’ve just visited… until I get to explore a new destination. But if pressed, I guess that I would say the iSimangaliso Wetland Park in Kwazulu-Natal is in the top five of my list (if not right at the top) of the best travel destinations in South Africa. And yes, I have just returned from Kosi Bay on a trip with Jannie Rykaart of Protea 4×4 (Remove Adventures). 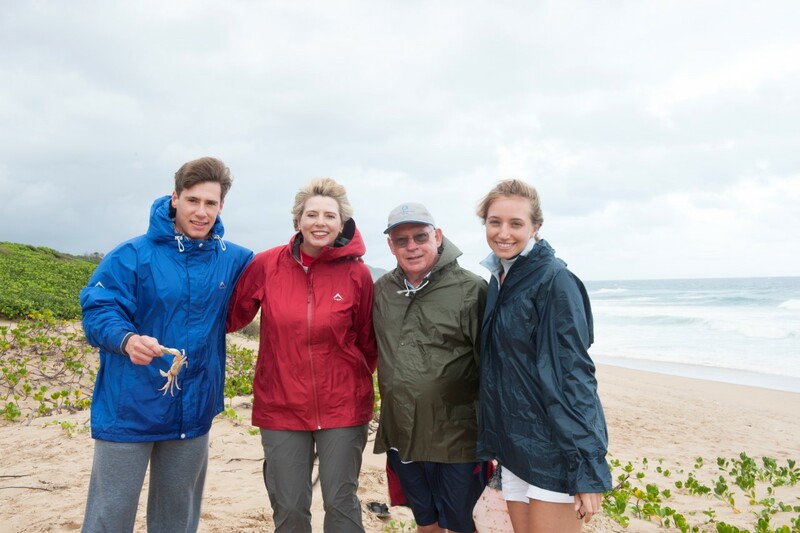 Our mission was to hopefully see the leatherback and loggerhead turtles laying their eggs on the white beaches of Maputaland – an occurrence that dates back over 300 000 years. For some reason he left out the leatherback turtle that was around on these ancient shores since a time when humans (Homo sapiens) only first started appearing on earth. Like any good Loggerhead, I put my key into the ignition of the brand new Mitsubishi Pajero SWB 3.2 DiD. It had the grand sum of 47km on the clock! Rolling behind was a sand-coloured GT Camper. 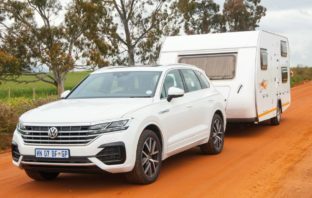 The GT Camper is a relatively new kid on the block, but is the first off-road trailer in South Africa to come out with a hard floor tent. I was really looking forward to testing this towing combination, on looks alone it looked like a match made in heaven. The name iSimangaliso means “place of miracles and wonders” in isiZulu. The park is a unique global treasure, so much so that in 1999 it was listed as a World Heritage Site (in fact the very first in South Africa). The park covers 332 000 hectares and has 220 km of coastal shoreline stretching from Maphelane in the south to Kosi Bay in the north. The coral reefs are considered to be second only to the Great Barrier Reef in Australia in terms of their marine diversity. 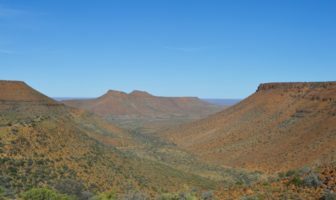 Within those thousands of hectares are three major lake systems, eight different interlinking ecosystems and the largest remaining swamp forest found in South Africa. 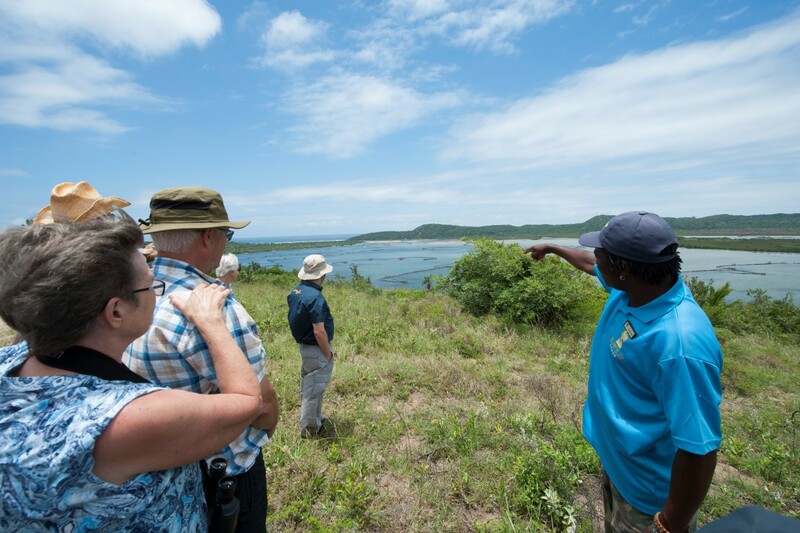 Added to this iSimangaliso harbours Africa’s largest estuarine system, 25 000-year-old coastal dunes and some 526 bird species. 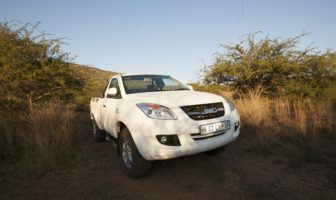 It’s a 700-odd-kilometre drive from Johannesburg to Kosi Bay, where we would be spending our time on this trip. Like all my journeys, I discovered another “must get back to” jewel on the way: the small village of Wakkerstroom. If you have the time, I would highly recommend staying over at Wakkerstroom if you are travelling from Gauteng. 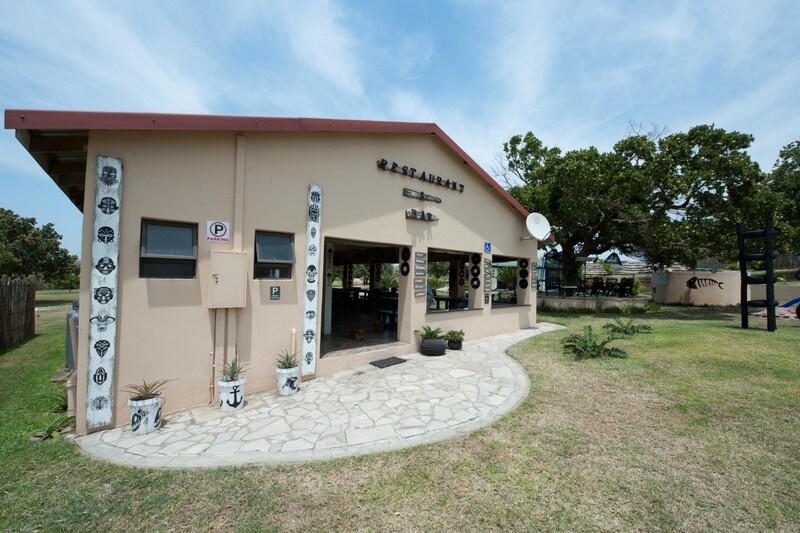 But it was onward to the super comfortable Kosi Bay Lodge where we were to meet the rest of our companions for Jannie’s tour. 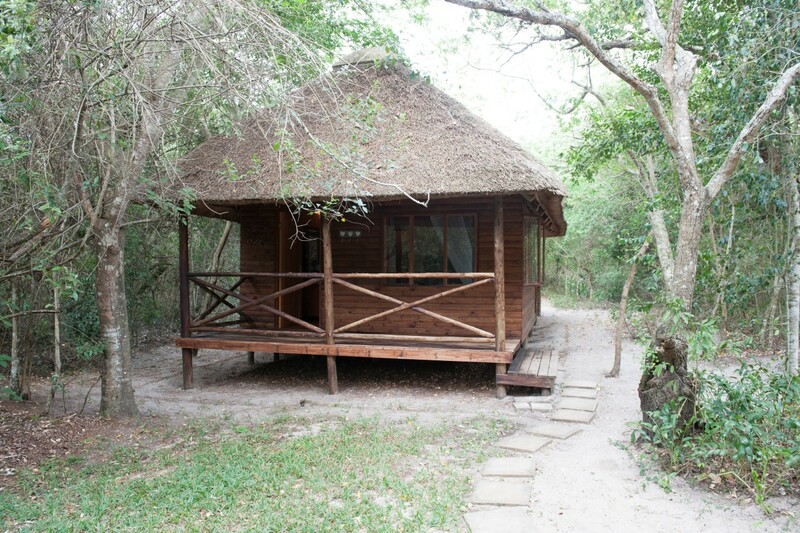 Jannie always accommodates his clients at the Kosi Bay Lodge – super comfortable chalets each set up for maximum privacy in the coastal forest surrounding the lodge. 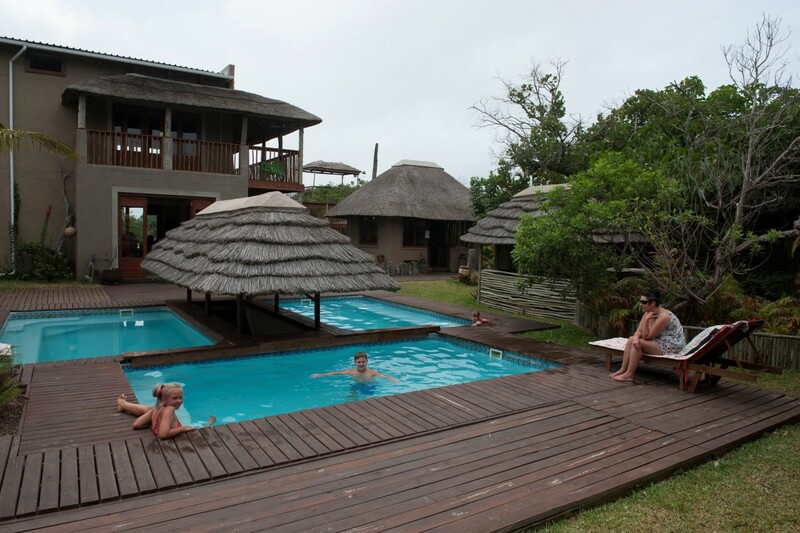 I understand why Jannie and Ansu Rykaart always book their clients into Kosi Bay Lodge. Sadly I didn’t meet Neels Joubert. But his wife Karin, who never seems to sleep, made sure our group was treated like royalty. The accommodation and food at the lodge is superb. 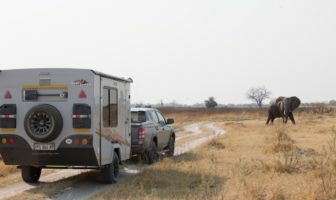 I had my own accommodation in the GT Camper, and was due to stay at the brand new camping area was being constructed at Kosi Bay Lodge, close to a traditional Zulu village that has been specially built for the lodge. But due to heavy thunderstorms just before our arrival, the first campsite at Kosi Bay Lodge was still under construction. 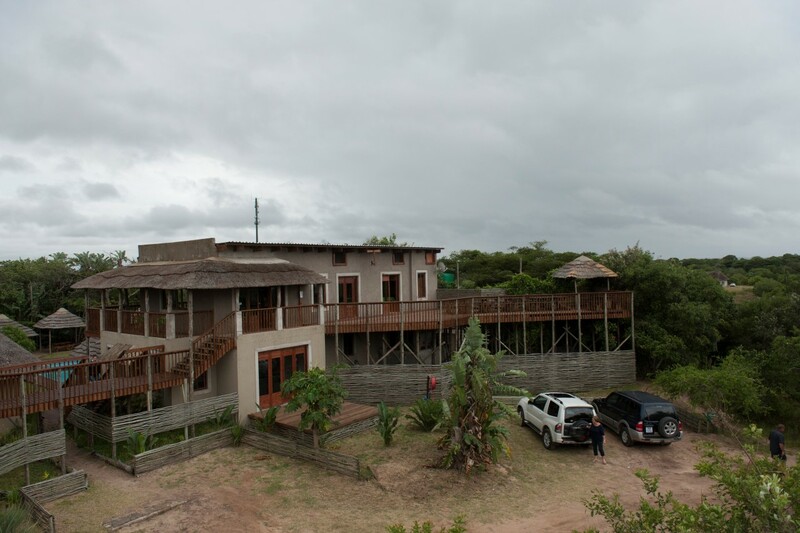 Judging by the fabulous wooden walkways, the large wooden deck for the braai and chill out area, like the lodge itself I know that it will be first class. So while I love camping, spending a night in luxury chalet at Kosi Bay Lodge (with my own private swimming pool) after such a long drive was bliss. 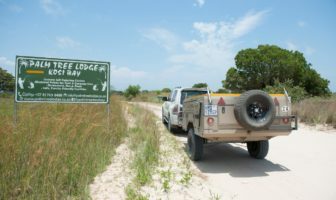 The next day, all rested out, I set out on my mission to move around explore a few of the amazing campsite that iSimangaliso had to offer. I was up early and at the Kosi Bay Mouth entrance gate when it opened at 6am. 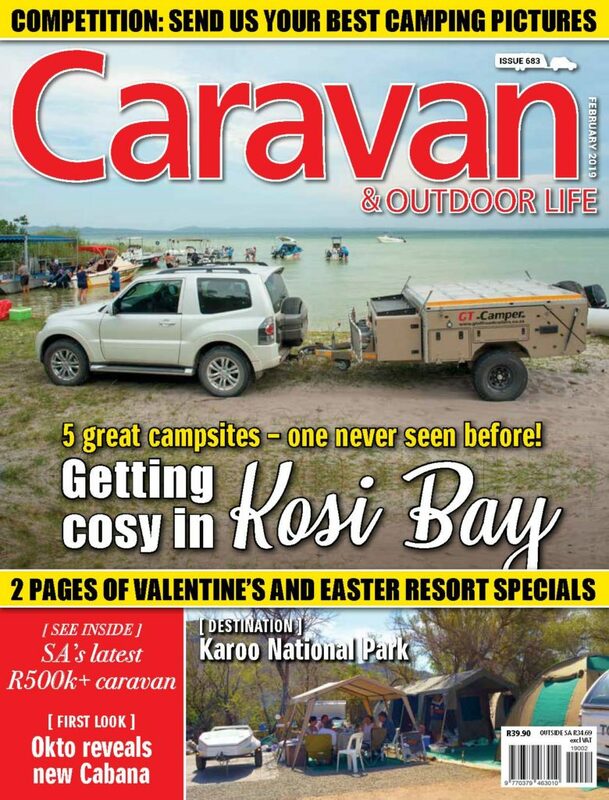 I took the GT Camper along to test the towing combination while out and about, plus I had a picture in my mind’s eye of the Pajero and off-road trailer looking out over lake Enkovukeni with its waters laced with its lines of interlacing fish traps. 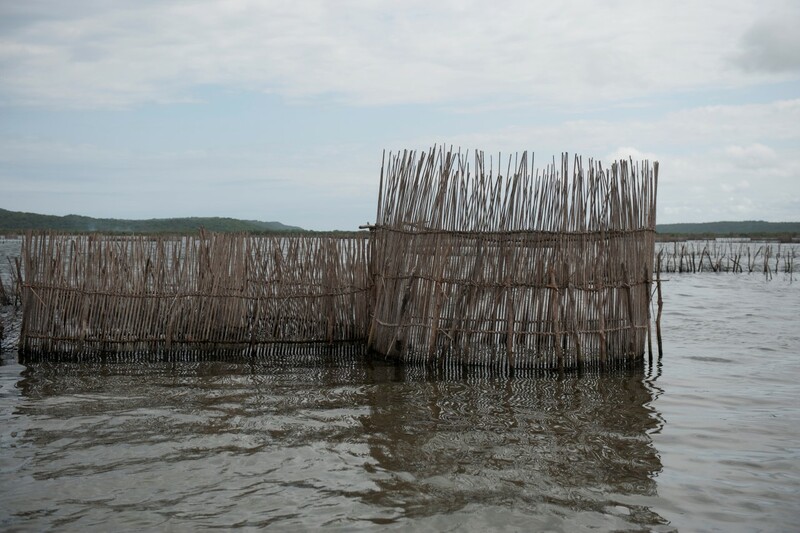 These fish traps were mentioned in the Portuguese seafarer’s journals that date back some 700 years. To my disappointment, one isn’t allowed to take an off-road trailer down the sandy 4×4-only track down to the mouth. 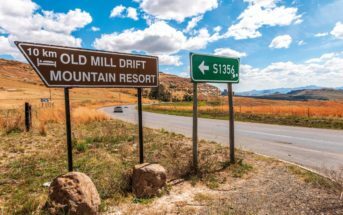 I knew that the rest of the group were definitely going to picnic and snorkel down at the mouth, so I backtracked half a kilometre to the Utshwayelo Kosi Mouth Lodge and Campsite. Utshwayelo takes its name from the fish kraals celebrating the traditions and culture of the Thonga people. It is a community partnership project of skills sharing and a life of purpose. The lodge provides an income to the community in the form of rental, job opportunities, and involvement and assistance with projects. Local reeds, grass mats, and other handmade articles are used for building materials. 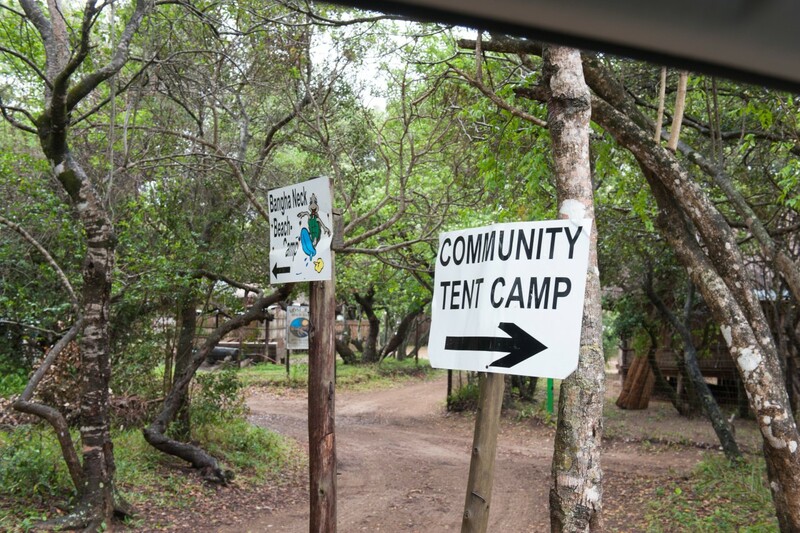 Utshwayelo has been in existence since 1992 as a community campsite. 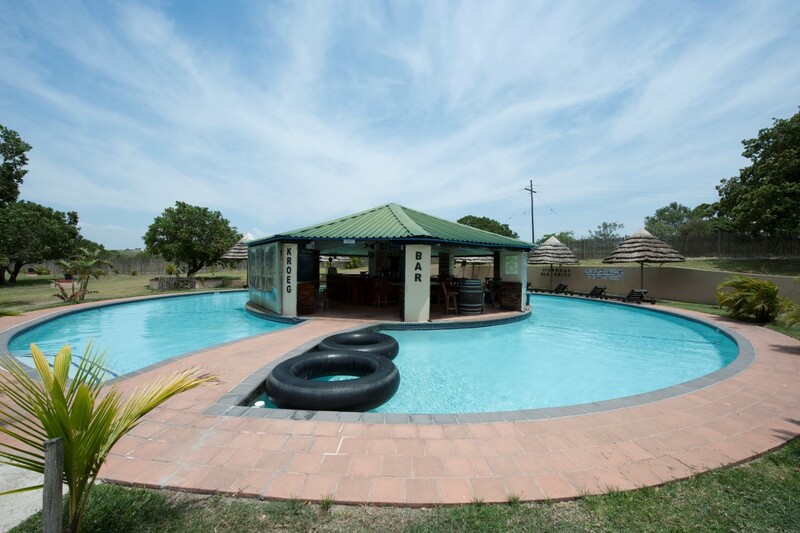 In 2010 the current management took over and has grown Utshwayelo into the successful lodge it is today. The Fish Eagle campsites are superb. All are surrounded by neat reed fencing ensuring absolutely privacy, and have a braai, an electrical point, a light and water on tap. How they managed it I don’t know, but each campsite is under the shade of large old Waterberry trees. The sites vary in size accommodating both large and small groups, but each has its own unique charm. The communal ablutions with hot showers are clean, neat and serviced daily. 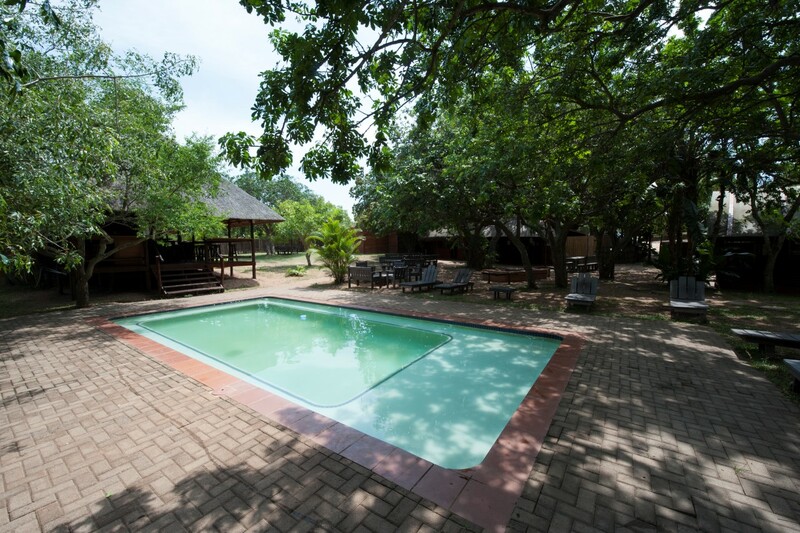 I particularly love the boma area with its swimming pool, small wood-decked pub, dining room and lounge. You would also have to travel far to find as a friendly a host as camp manager Enock Tembe. This is really a facility that pays back to the community. Actually the word “community” pretty much sums up why I love the Kosi Bay area so much. It’s a vibrant coastal community of warm-hearted people. 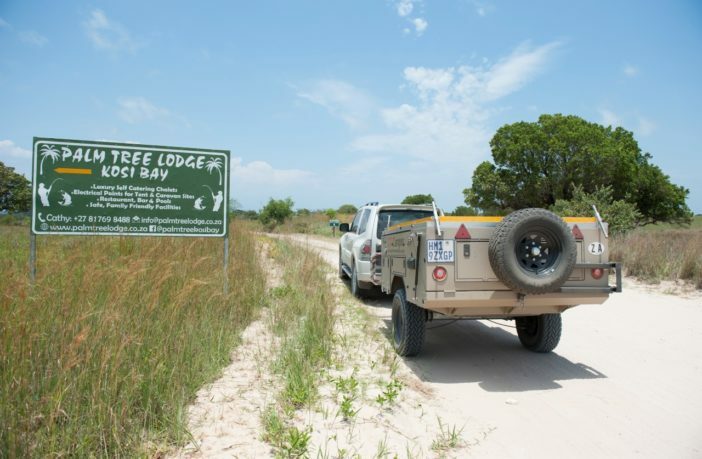 Drive along any of the criss-crossing sand tracks and you will meet young and old of the local Thonga (Tembe) community. In the big bustling town of Manguze you can get everything you need in terms of supplies. There’s a large well-stocked Spar. The guys at Utshwayelo all gave me the tip of buying excellent fillet and rump and a really good price from the huge Boxer Supermarket in the town. I love the music that pumps out from the DJ set-up in front of the shop. There is a completely different and unique vibe to this Indian Ocean town only a couple of kilometres from Ponto do Ouro. Jannie tour actually included a day trip across the border for Dos M beer and prawns mopped up with traditional Paõ bread rolls. Meanwhile, I headed off to visit as many campsites in the area as possible. 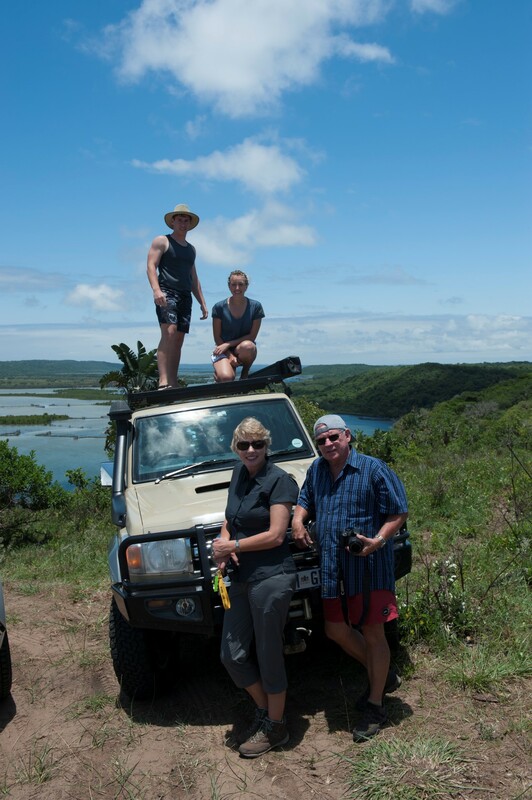 At Kosi Bay Lodge there was a total of 20 of us on the Protea Safari trip. The group consisted of Danie and Crista Franzen from Potchefstroom. Danie a former gold squad police detective now works in Surinam. I’d heard the name but had no cooking clue where on the globe it is. Adding another four to the group was Peter and Linda Scaife, her daughter and son Luan and Nicole Zwarts. I had met Chris and Barbara Holden from Johannesburg on Jannie’s trip to Sani Pass earlier in the year. This was like a gathering of the Protea 4×4 Adventure club. 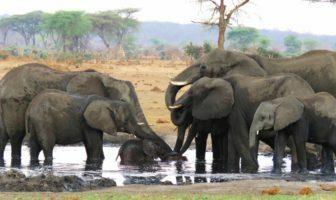 Also joining us was Ian Kempe and his wife Sandy from Joburg – I had spent three weeks with Ian and his daughter Laura on Jannie’s trip to Moremi. Another interesting couple was Doug and Jenny Gamble. 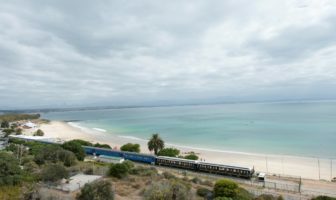 I have an Australian passport (long story) but have never been Down Under, so it was great chatting to this adventurous couple that had lived there for a number of years. 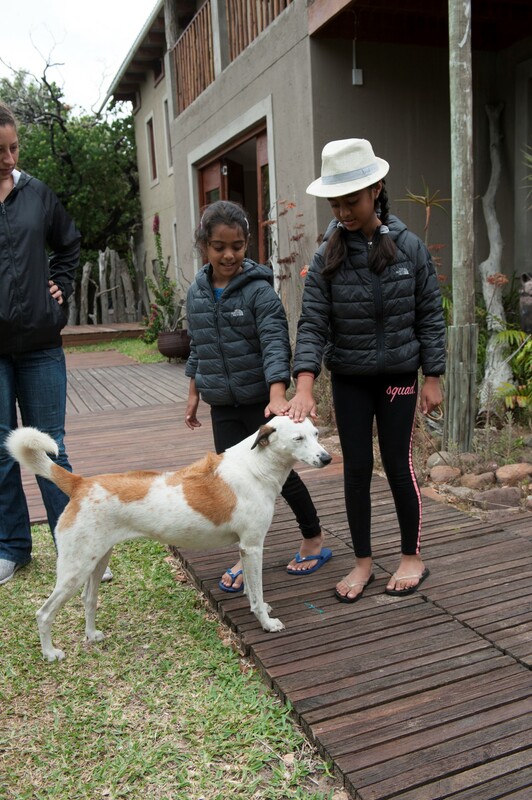 Rounding off the crew was Theuns and Christa Koen from Eshowe, and Vimal and Komal Kanjee with their two young kids. These two girls had such beautiful manners, well done Mom and Dad. Palm Tree Lodge is neat as a pin. From Utshwayelo I headed south to Palm Tree Lodge. I really liked this spot from the moment I entered the gate. 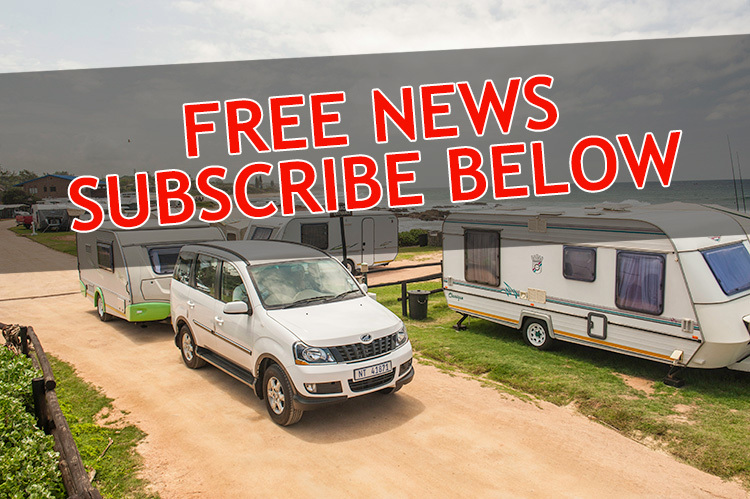 Relatively new in the area owners Patrick and Cathy Pedlar are the warm hospitable hosts that us caravan and campers dream of. The Pedlar’s took over the lodge in September 2016. It’s a large campsite and as neat as pin. But at the same time, from the humorous and quirky painted signboards, the creative work of Cathy, you are made to feel welcome. There are 9 campsites each with their own private ablutions. They have modern showers with a hand basin and a toilet. Outside there’s a double washing up sink and a sink for washing clothes. The private stands have electricity, a dedicated braai and water taps. Palm tree Lodge is the perfect family getaway. There is plenty to do with a large games room with a pool table and table tennis. For the younger kids there is a really well thought out play area with a jungle gym, swings and a trampoline. I enjoyed a very reasonably priced homemade hamburger at the al fresco open plan restaurant. This lovely eatery looks out at the swimming pool and bar area. I definitely would recommend this first class establishment. 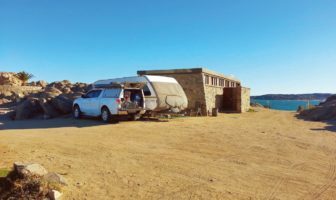 From private campsites to bush adventure – my next port of call of was an old favourite, the iSimangaliso Wetland Park Kosi Bay campsite right down on the emerald blue waters of Lake Nlange. 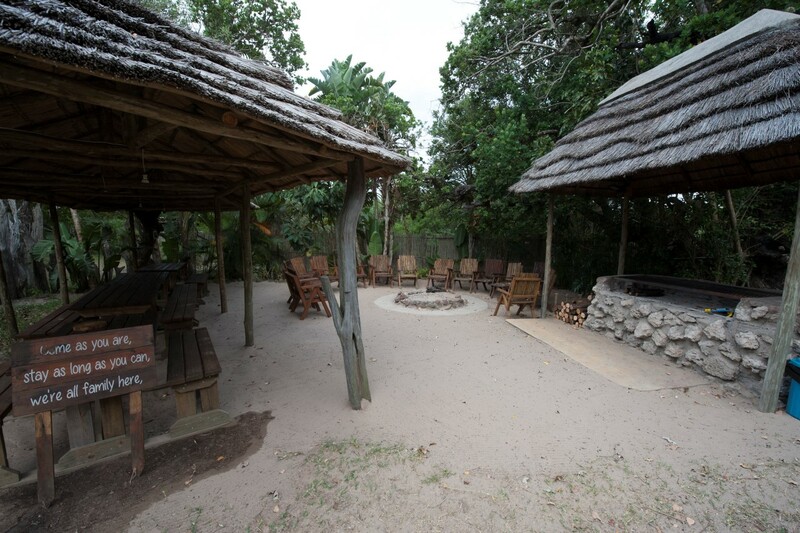 The campsite has fifteen well-shaded campsite situated in unique coastal bush. Each campsite can accommodate up to seven guests. The sites all have a water tape, braai facilities and a 15-amp power point. Five of the sites have a view of the lake. Without a doubt my favourite sites, right on the edge of the lake are no’s 1, 2, 3. With my absolute favourite being No2! Two of the sites are wheelchair friendly too. There are two neat ablution blocks with hot showers that are serviced daily. Note that there are no dishwashing and laundry facilities. Just remember you need to book if you want a spot at this campsite, especially over Christmas, New Year and Easter. I just love walking out on the wooden jetty in the early morning and watching the sun rise over Lake Nlange. 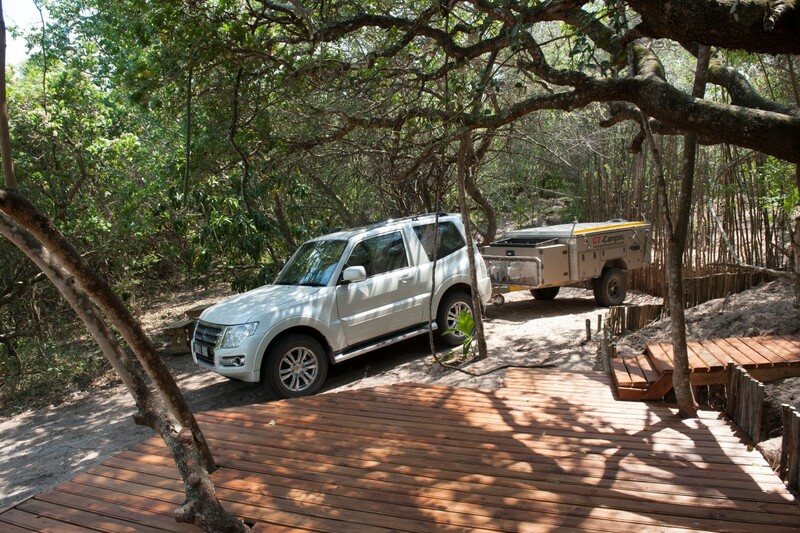 This campsite must be truly the closest to paradise one can find in South Africa. I had to reconnect with the Turtle Tour group, but on the way back I couldn’t help pop in at a signboard offering the best wood fired pizzas in Africa. This was Ray Jackson’s Kosi Bay Casitas. Ray met me at the wooden decked reception area. At his side were two other members of the Casitas clan, Bella the friendly husky and Cha Cha the Border collie. I had already heard about Ivan, the Casitas chef, from some other resorts. 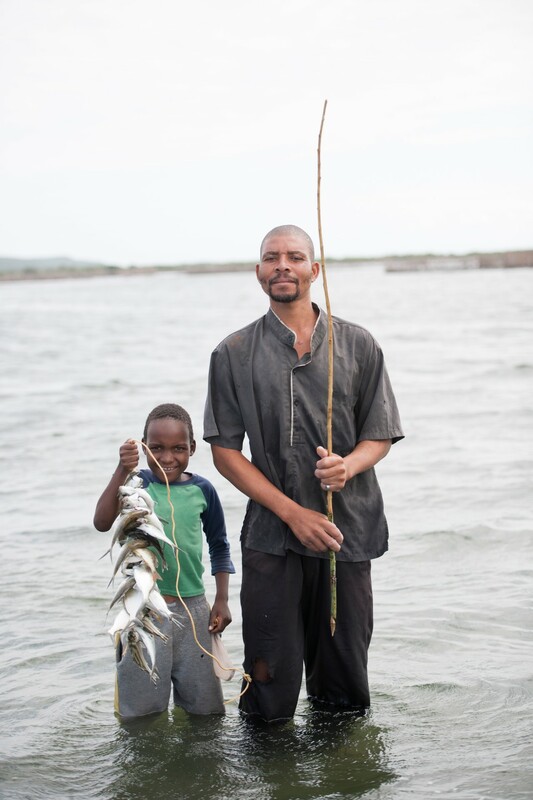 His speciality is seafood and traditional Mozambican dishes. It was Ivan who built the wood fired pizza oven. Apparently you also don’t need to cross the border before tasting his Zambezi chicken, peri-peri prawns or his famous dessert called a Kosi Lime Pie. The campsite itself is well shaded with electricity at most sites, water on tap and two rustic but simple ablutions with hot showers looking after the campers. I liked the rustic yet neat and trim well-ended campsite. I also like the restaurant and chill-out lounge that looked out over the swimming pool. But Ray’s campsite with its chalets and backpacker accommodation is not only for the youngsters. 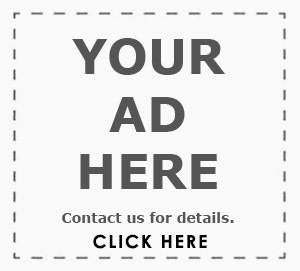 It’s for any visitor with an adventurous spirit. 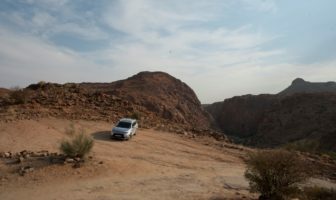 I met an architect and his wife and their well-kitted Land Cruiser while driving one day, and they told me they were staying at the Casitas and loved it. They were my sort of age… meaning they’ve seen more than 6 decades on earth! Len and Jenny Claase’s Lake View Bush Camp is a magic hilltop campsite overlooking the lakes. It’s a lovely drive up the sandy road up to the hilltop overlooking Kosi Bay’s third lake. 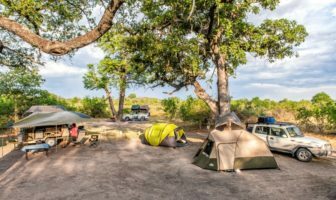 There are six shaded campsites on the terraced hillside camping area, each with an electrical point, water tap and a pit braai. Remember to bring your own braai grid. There is a neat ablution block with hot and cold water. The ladies’ section has a bath as well as showers. Right next-door is a communal kitchen area with washing up facilities, a kettle with nearby extra plug points. A real plus is the big fridge and freezer available to all campers. At the crown of the hill with sweeping 360 degrees views over the area is a pool and entertainment area with a wooden deck looking down over the lake. Lake View Bush camp, in my view, is the ultimate place to come and quietly contemplate your navel. Yet it’s close enough to all the facilities that the greater Kosi Bay has to offer. Even a hop across the border to Ponto do Ouro is an easy day outing if you base yourself here. From Lake View Bush Camp I headed back to Kosi Bay Lodge (a full 1,3 km drive) to join the tour group for a trip to go see the turtles. On two occasions over the past few years I have been booked for a trip to see the turtles at Kosi Bay. On both those occasions the trip was cancelled at the last moment! Well, at least this time with Jannie I’d got to Kosi Bay… and at the right time. But for whatever reason the powers that be weren’t playing ball. Being from the Cape, I wasn’t ready for the pyrotechnic display this tropical paradise dished out to us. 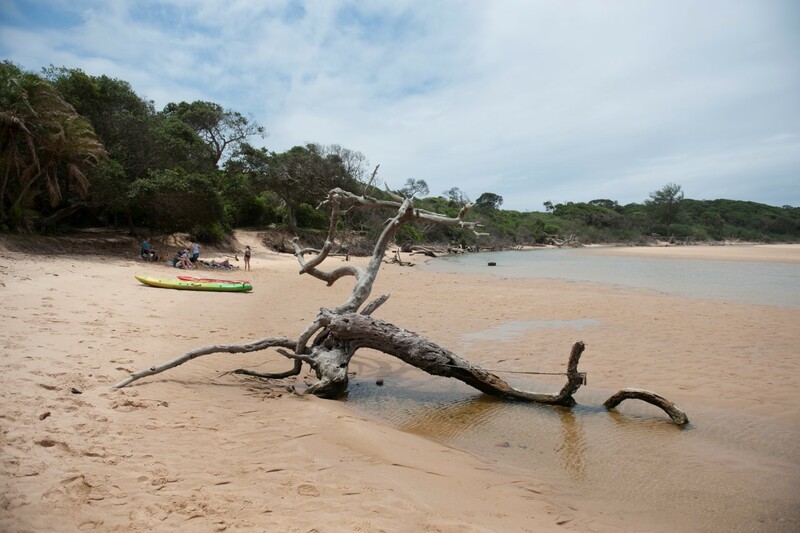 There was no way we could take the Kosi Bay Lodge boat to visit the egg-laying beaches. 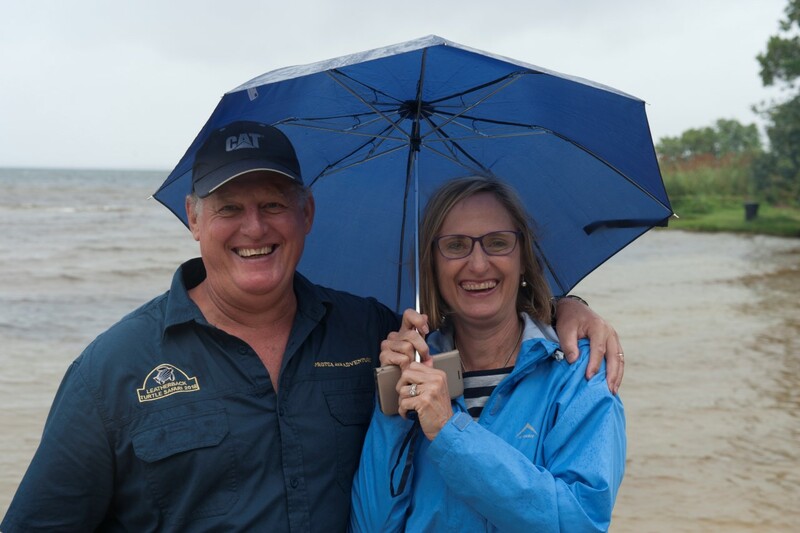 Thankfully, Jannie is a good tour operator with plenty of Plan B’s, and we headed down to Kosi Bay mouth for a picnic and to have a closer look at the fish traps. But I wasn’t listening, I’m a caravanner! It was drizzling all the way, winding through thick dune forest, over coastal dunes before winding down to the parking. Let me tell you, through mud, slush and sand that GT Trailer followed the Pajero. I was hardly aware that was towing anything. Now I understand why it’s so hard to find a second hand SWB Pajero. 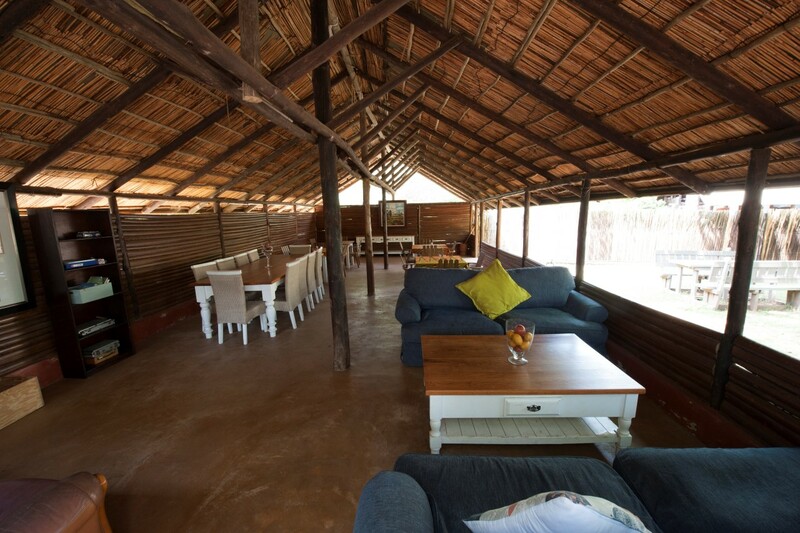 I would have been quite happy to stay for a week at Bhanga Nek. Like a turtle I had my home at my back, and I had supplies (including a bottle of whisky and ice in the fridge). Within two minutes I had my home ready for bed. One step up and I was in my warm queen-sized bed. 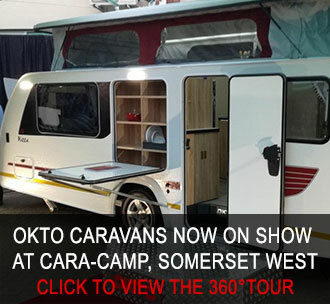 And there is no need to make up the bed – when you close up your caravan, your bed stays made. Although it was drizzling and dusk turning into the dark of the night, we had headed down the beach with our turtle guide Simanga. There are three guides in all, and these guys are true professionals. After a thorough briefing, with and absolute prohibition on using torches, Simanga guided us in a tight group down the beach. The other two guides, like ghostly wraiths in the darkening light, disappeared down to the beach to look for some turtles. I guess we’d walked two or three kilometres down the beach, when the trip turned turtle, if you’ll excuse the inexorable pun. The heavens opened. With the wind whipping the beach into a gigantic sandblasting machine we huddle together like a bunch of sad and lonely shipwreck victims on the Bhanga Nek beach. My Kosi Bay turtle curse had struck again! It’s funny how an experience like this pulls a group together. Despite not seeing one natural wonder, I think we all had learnt a good lesson: Never underestimate the power of nature. As for the turtles, the amazing creatures that swim and get swept as far as the Antarctic coming back to lay their eggs in the exact place where they were born… why should they share their most sacred moment with us mere mortals? So if you do get to share it, get down on your knees and say Thank You. The GT in the off-road trailer’s name stands for Great Track. The founder of the Great Track adventure camper is JM Klopper, a diehard camper all his life. 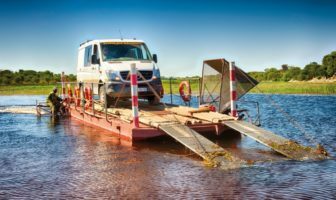 A caravan didn’t fulfil his needs because most of the time he couldn’t tow it to the more remote and off-the-map places he and his family liked to visit. His thinking went something like this: Something simple, comfortable and strong. 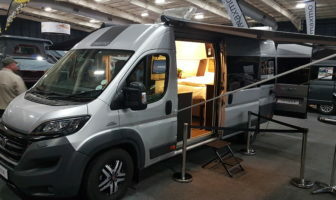 But added to this were other must-have features: set-up in less than 2 minutes with zero tent poles or lines, low profile that makes towing effortless, little wind resistance, and amazing towing stability. 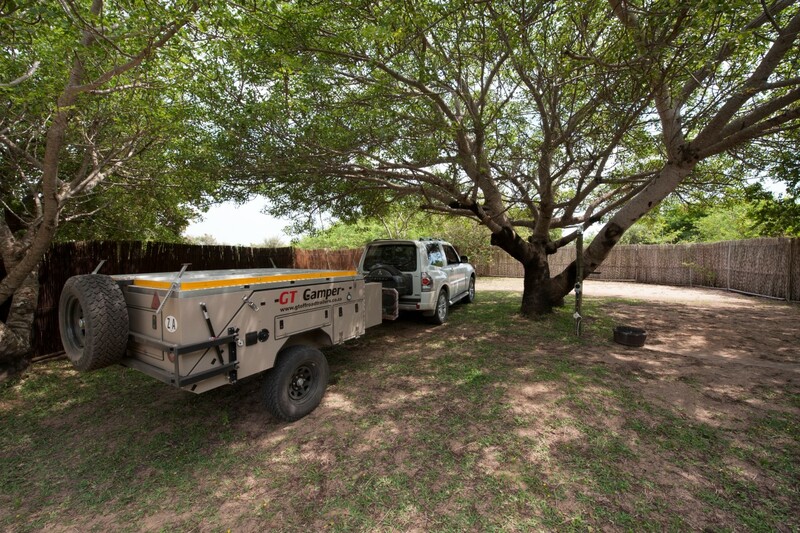 GT is the only camper trailer in the South-African market with a hard floor tent. The first must-have feature you can tick off – the tent does take less than 2 minutes to set up. I also found the GT a dream to town. With its low profile, wind resistance is minimal, and you can see the traffic behind you thanks to the low profile trailer. When I set up the trailer for the first time I really got to appreciate the hard floor of the tent. It does make a big difference in camping comfort. It has the feeling of being in your bedroom at home. It’s also easy to keep clean. It’s a first in South Africa and I think we will see some manufacturers following suite. Another big plus is the gigantic queen sized bed, accessible via two small steps. There’s tons of easily accessible packing space. 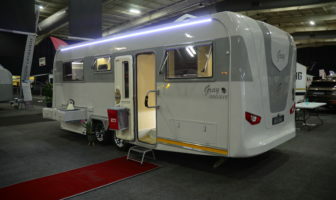 All in all this is a tough and very well made camper.